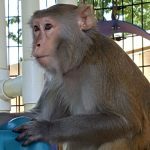 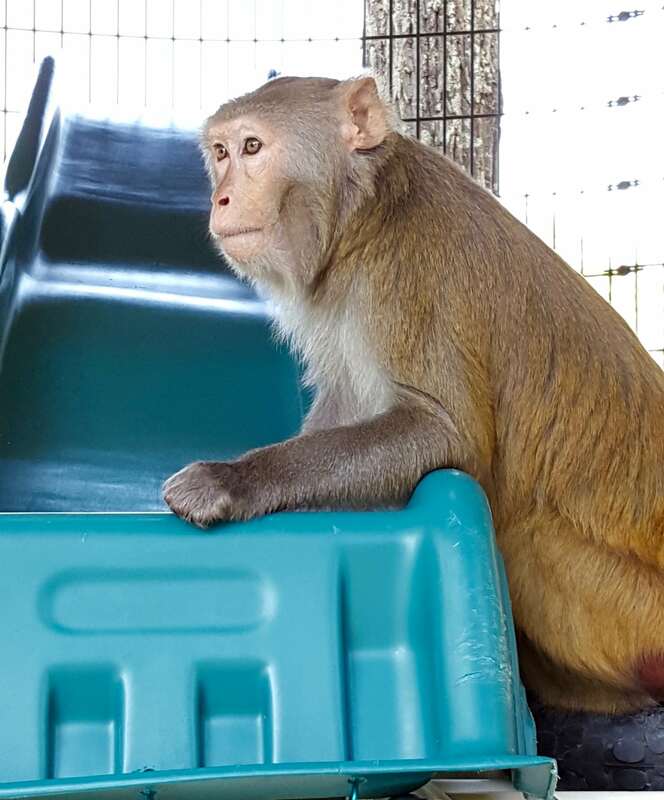 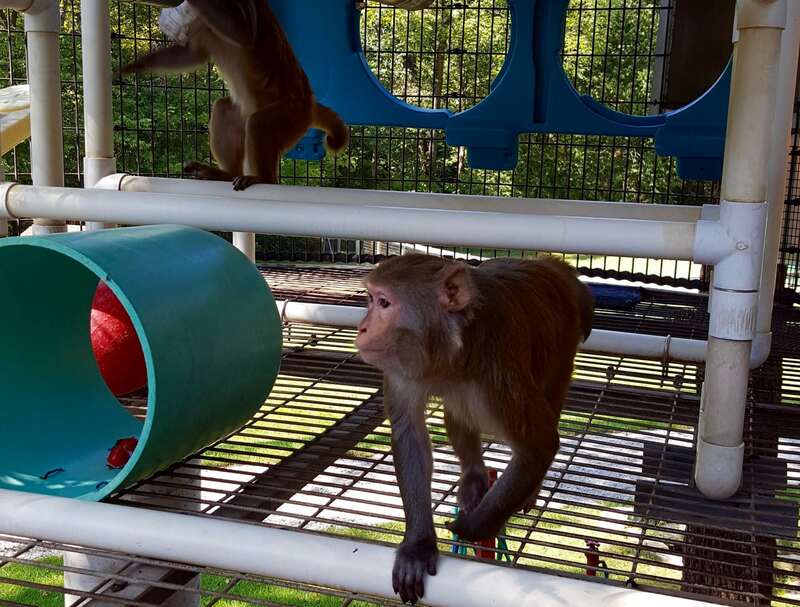 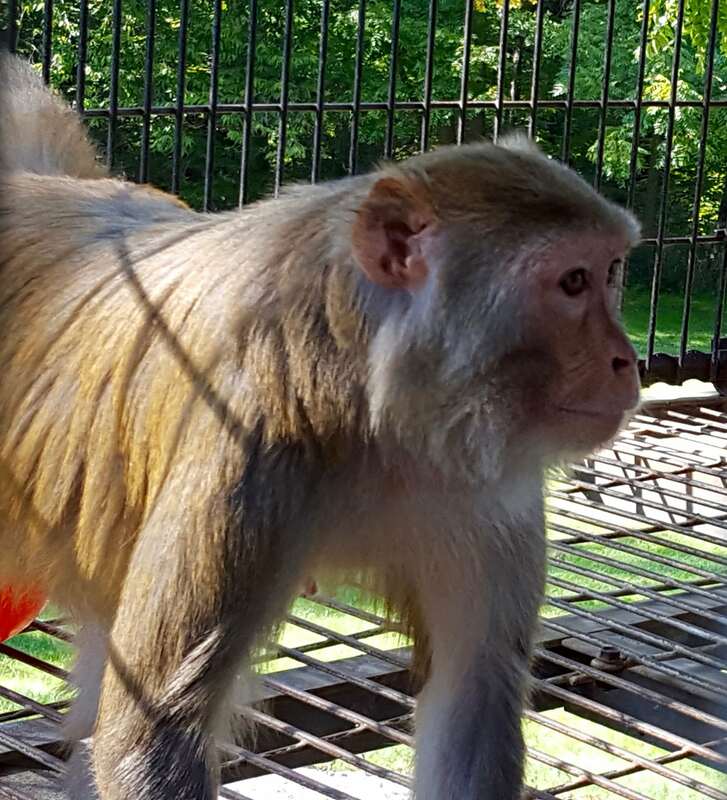 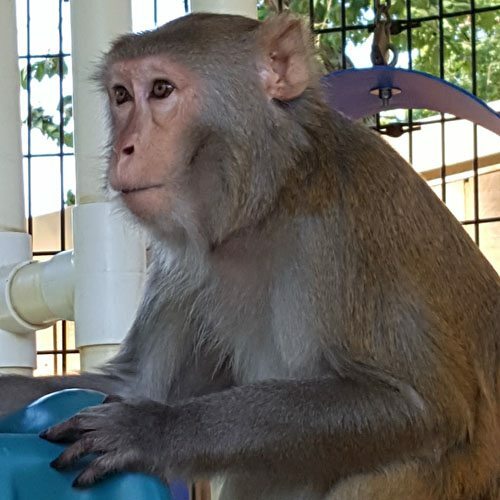 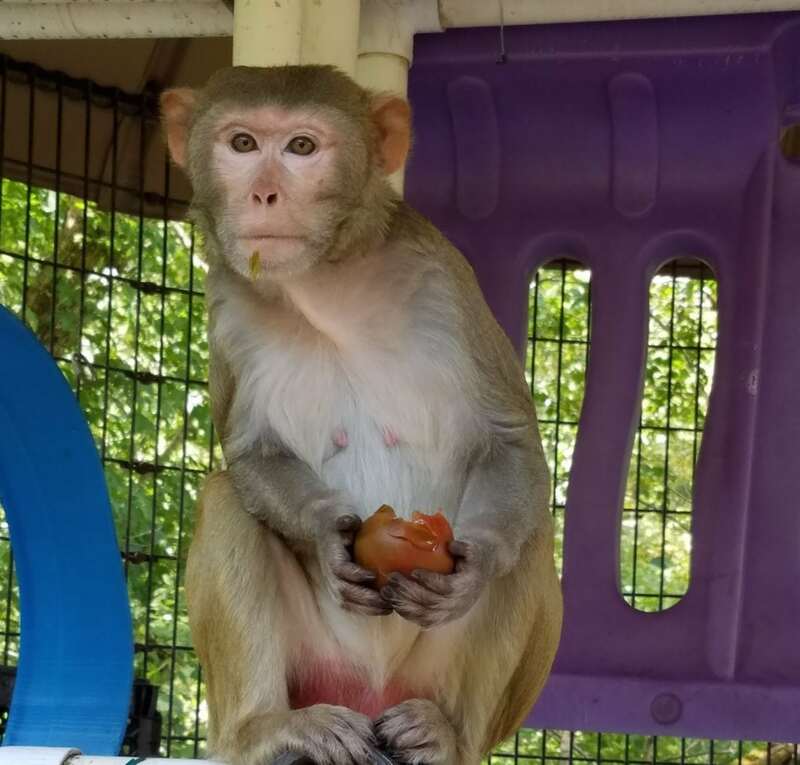 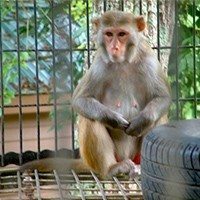 Bailey was a pet whose owner sought to find her a better home where she could associate with other monkeys. 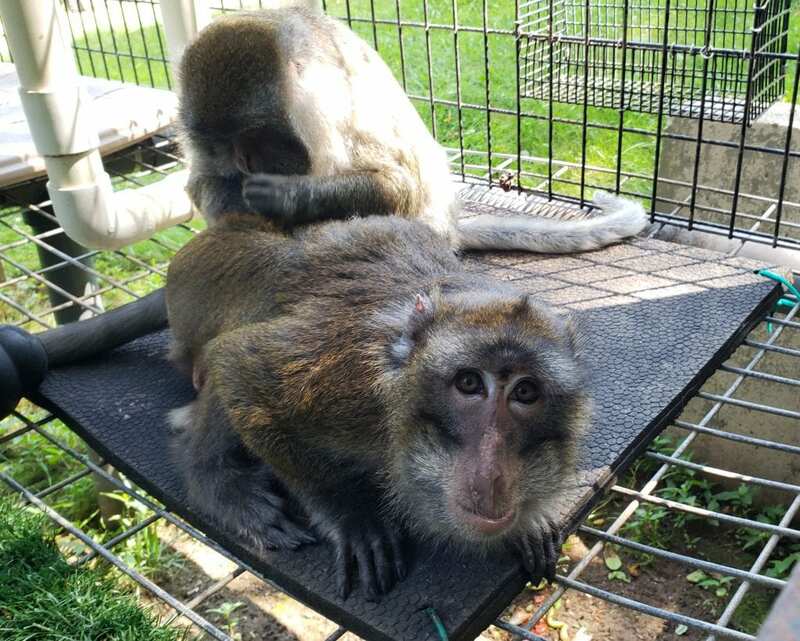 She bonded with Dewey and, to our dismay, produced two offspring. 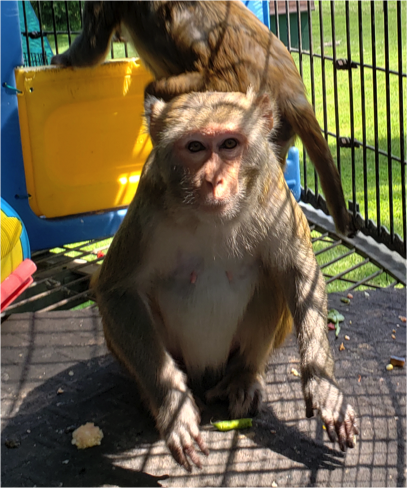 Although we do everything possible to curtail breeding, these two have foiled our attempts—hopefully, for the last time.